Product version: v1.1.0, last updated: August 5, 2018. WooCommerce Order Status Change Notifier is a WooCommerce Extensions being developed by Woothemes. 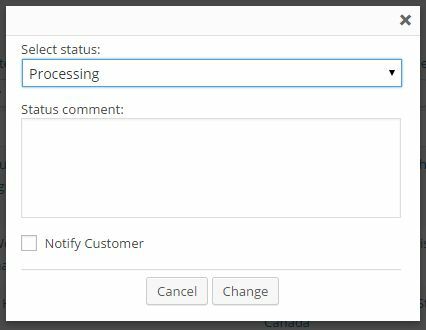 WooCommerce Order Status Change Notifier allows you to change order status from action column or order itself and you can choose to notify your customer or not. Include order status change notes in custom email notifications.